Gents, your haircut and facial hair says a great deal about you. For the style conscious gents out there, maintaining a well groomed head of hair is of the utmost importance and finding the right barber to entrust with this responsibility is by no means an easy decision. A new barbershop has opened up in Northampton however with a focus on providing the town’s gents with a unique and quality grooming experience. 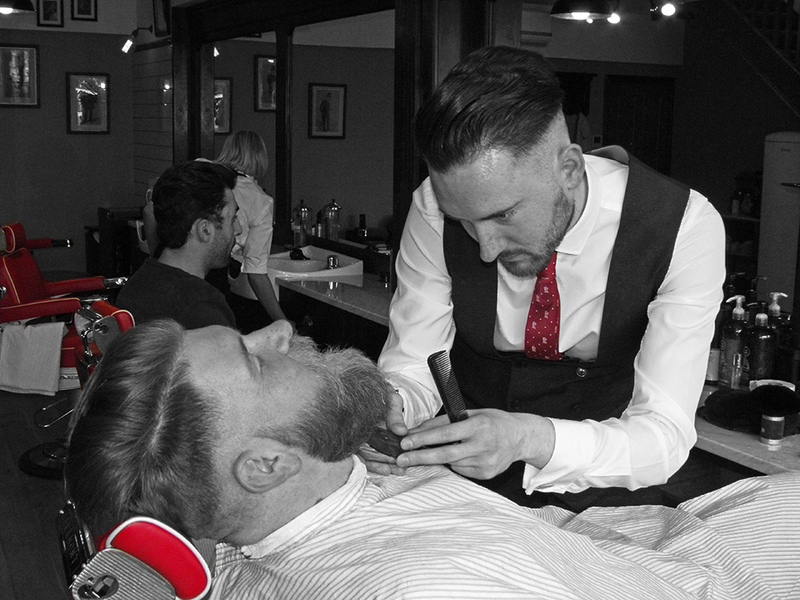 Located in the heart of the vibrant Wellingborough Road, Beckets barbershop is a new male grooming establishment managed by young barber Joseph Angier and has already garnered a loyal following of patrons after only 5 weeks of being open. Having started his journey at the age of 14 in Wellingborough’s Avant Garde hairdressing salon, Joseph received his education in styling from some of Northamptonshire’s finest hairdressers in their long running in-house training school. Now with his skills honed, the driven barber and the Wellingborough salon have launched their own traditional barbershop and shaving parlour with the goal of giving Northampton’s modern gents the finest male grooming experience. Speaking to Joseph about the motivations behind the new venture, he said: “We wanted to take our years of experience and offer a high quality service with quality finishing touches that leave our customers wanting to return for relaxed pampering! In the world of male grooming, there has been a revival in the idea of offering gents more than just a trendy hairstyle; more gents are looking for an experience. 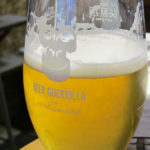 A simple haircut is not enough to cut it (intentional) as gents look for a barbershop that can offer traditional services such as cut throat shaving and beard & moustache maintenance along with unique finishing touches that make a trip to the barbers a rewarding experience rather than a chore. 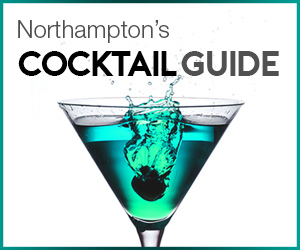 It is this dedication to offering a high level of pampering and relaxation to each customer that drives the team and having visited some of the UK’s best luxury barbershops, Beckets has aimed to capture all the best ideas and bring them to Northampton. 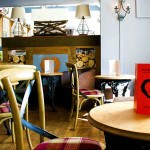 The décor has been modelled around the traditional Victorian / Edwardian gentleman’s barbershops of the past and makes for a comfortable setting to sit and wait. 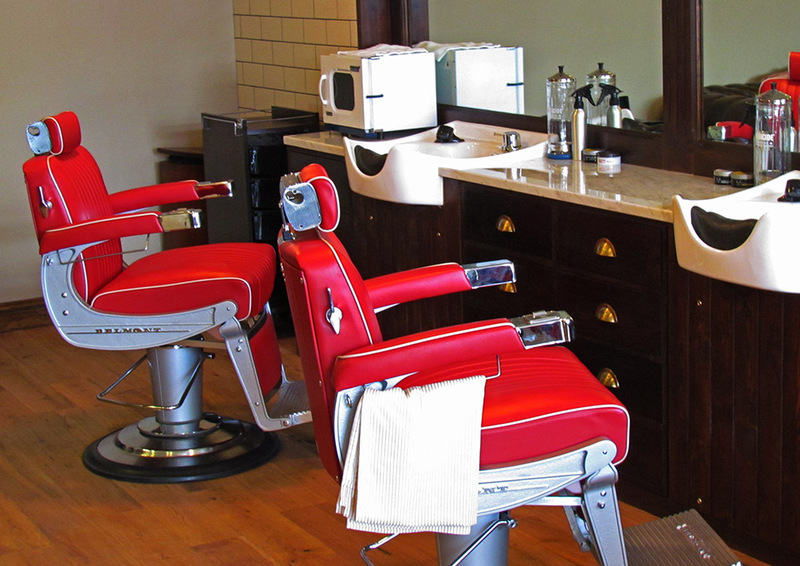 The vintage lighting, brass fittings, exposed brick, antique furnishings and striking red, Belmont barber chairs work together to create a wonderful blend between the classic and contemporary. Continuing with the idea of offering gents an enjoyable experience, the staff at Beckets are well versed in a multitude of men’s grooming styles. The shop’s bread and butter are haircuts, with the expert team being able to give advice on different styles and looks that would suit each customer. Haircuts start from £18 and the team specialise in both classic and modern styles, with Joseph explaining how he and the team constantly train to stay up to date with the latest fashions, trends and techniques. 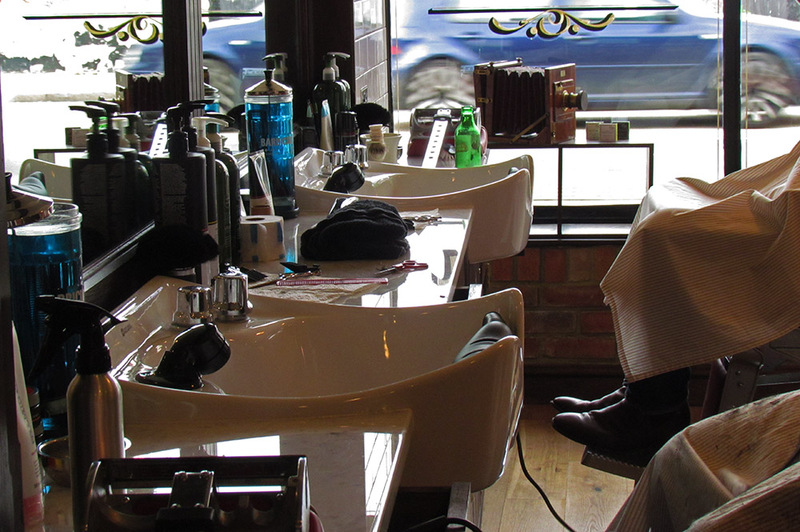 Beckets also offers a range of services for gents sporting beards and moustaches, including trimming and tinting. These start from £8.00 and include the use of a range of high end aftercare products to ensure that such follicular masterpieces remain well maintained. 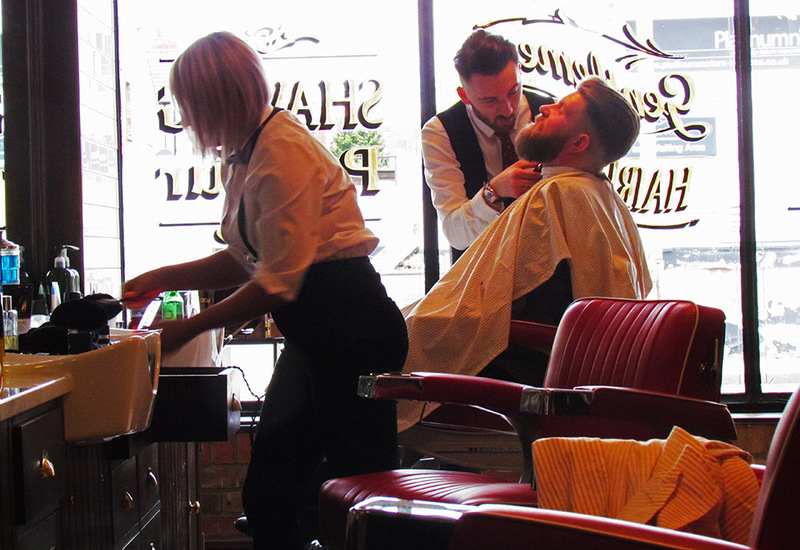 For gents donning the clean cut look on the other hand, the shop employs the time-honoured tradition of the wet shave with an open razor and fine products which leave the face feel smooth and refreshed. 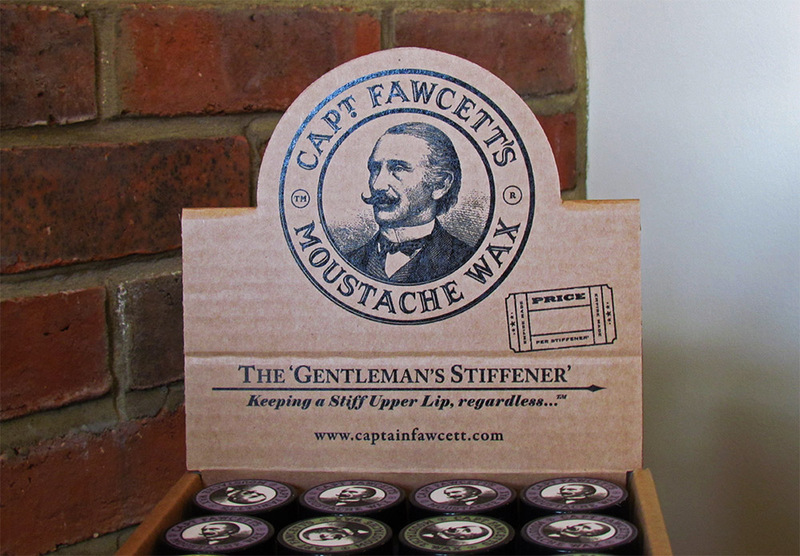 As mentioned earlier, it is the little touches that Beckets have included in their services which make the shop stand out, such as the high quality grooming products they use for each customer. Whilst we are not at liberty to give away all of their secrets, we can say that something as simple as enjoying a refreshing, complimentary beverage whilst waiting on their Edwardian chesterfield sofa makes for a pleasant experience. Gents if you are anything like us, you are naturally sceptical about trusting a new barber with each valuable, individual strand of hair on your head. We can assure you however, after seeing the prolific young barber and his team in action, we can attest to their skill. The shop is serious about their dedication to ensuring each gent that walks through the door has an experience which will leave them smiling when they leave. It is this dedication and the passion of the team that can fill even the most sceptical of gents with confidence in their ability. For a barbershop with all the trimmings (last one, we promise), we suggest paying Beckets a visit. Excellent visit to these guys today, Jodi and the team really have the service and quality elements spot on here.